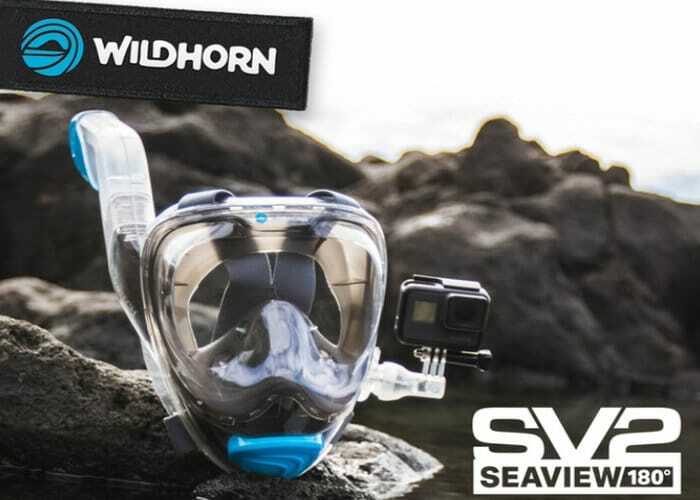 Wildhorn Outfitters has created a new custom designed premium full-face snorkel mask, designed to enable users to breathe with “confidence and connect with the beauty of the ocean”. Watch the demonstration video below to learn more about the Seaview 180 SV2 snorkelling mask which has this month launched via the Kickstarter crowdfunding website and has already raised over $140,000 thanks to over 1,240 backers. 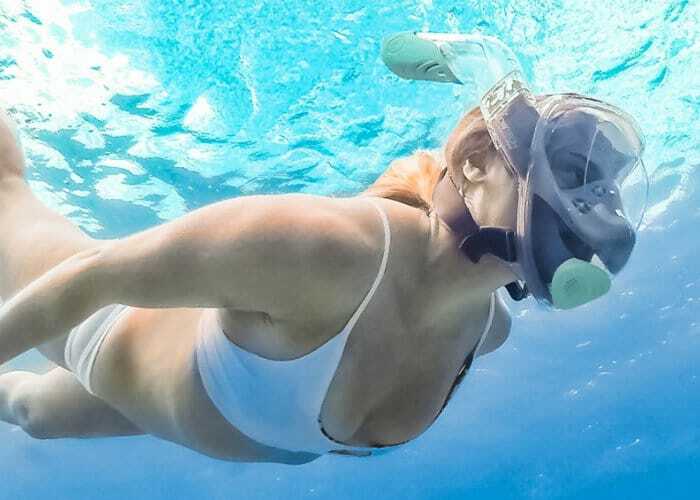 The unique design of the Seaview 180 SV2 snorkelling mask drastically improves breathability and enhances the viewing area as well as adding a number of new enhancements, tweaks and features to the standard snorkelling mask. Such as the ability to add a GoPro to the side of the mask to capture your under sea adventures from a first person perspective. The Seaview 180 SV2 snorkelling mask is now available to back with pledges starting from $69 or roughly £49 for early bird backers, with shipping expected to take place during June 2018. “The Seaview 180° SV2 represents Wildhorn’s commitment to constantly innovate and expand boundaries. We heavily focused on airflow to maximise safety. With over a year and a half of design and engineering behind the concept, as well as 8 rounds of prototyping, testing and fine-tuning, the SV2 is primed and ready to launch Wildhorn and the snorkeling adventure experience to the next level.” For more information, full specifications and a list of all available pledges jump over to the official Kickstarter campaign page by following the link below.